The Works of Scott Thornbury: Part 1 | What do you think you're doing? If it’s syllabuses that teachers want, these can be fabricated out of existing coursebook syllabuses and printed on a sheet of A4. No violation of copyright is involved since all coursebook syllabuses are clones of one another anyway.. And if it’s a semantic or functional or task-based syllabus they want, they will have to design it themselves anyway (but the exercise could do wonders for in-service development and staff morale). If it’s texts that teachers want, they need only do what coursebooks writers do anyway: trawl the internet. At least the texts that they plunder themselves are likely to be more up-to-date than those in even a recently-published coursebook, and can be selected to match their learners’ needs and interests. If it’s activities the teachers want, there are any number of excellent resource books available, and a school’s materials budget might be better spent on the complete Cambridge Handbooks series (I declare an interest) than on a truckload of Headway. Syllabus. Texts. Activities. Is there anything else a coursebook offers? Comfort. Complacency. Conformity. Professional atrophy. Institutional malaise. Student boredom. Slow death by mcnuggets. On the other hand, ….. 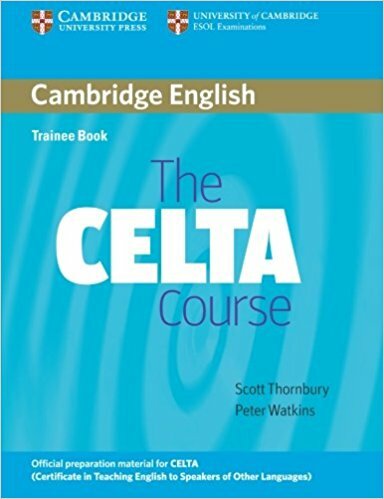 In the same year, thousands of copies of Thornbury and Watkins’ best-selling The CELTA Course were used by teacher trainers and trainees all over the world as their guide through a widely-criticised, ultra-conservative ELT training course dedicated to training teachers to do exactly the opposite of what Thornbury recommends when he’s wearing his Dogme hat. 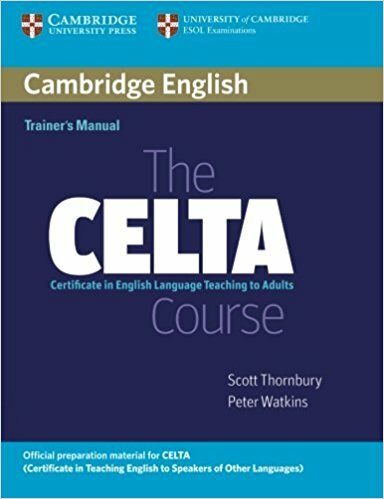 In the CELTA course, coursebooks form an integral part of ELT practice; trainees are actively encouraged to use them in their teaching practice, and no part of either Thornbury’s CELTA books or the training course itself questions using toxic texts like Headway which Thornbury, in some sort of parallel universe, eloquently blames for causing the complete ruin of the ELT profession. Does the Vicar of Bray come to mind? If you’re a young non-Brit it probably doesn’t, and you’re unlikely to get another analogy from 17th century rural England: running with the hare and hunting with the hounds. Both allusions refer to the attempt to hold two contradictory views at the same time, and while this usually leads to disaster, in Thornbury’s case, it’s brought him fame and fortune, and helped him to remain one of the most popular and well-respected figures in ELT for over forty years. Apart from my own occasional pot shots at him, what’s so remarkable about Thornbury is that he can run with hares and hunt with hounds without anybody charging him with duplicity, or at least confusion. Thanks to his singular ability to somehow transcend the confines which affect the rest of us, Thornbury can have lunch in a damp basement near the river with members of a cabal plotting to sabotage the Cambridge Local Examinations Syndicate, and afterwards emerge from the gloom, flick the specks of gunpowder off his sleeve, hail a cab, and finally alight, fresh and immaculate, at Claridges, there to have tea with a nervous group of rival publishers. Washing down the last jam-topped scone with the hotel’s own Tieguanyin tea, Thornbury finally bows to the highest bidder and signs a contract for his new book: Appreciating Raymond Murphy. All in a day’s work. Who cares if in a comment on one blog Thornbury lambasts coursebooks, while in a different comment on a different blog he staunchly defends Penny Ur’s endorsement of them! If in one presentation he’s the champion of Dogme, while in another he’s advising teachers on the best way to present and practice bits of grammar, well, so what! And if in one book he writes a chapter (with Christine Jacknick) for the Schmidt festschrift, while in another he explains that, pace Schmidt, there’s no need to notice things in the input, because grammar “emerges”, “for free”, then doesn’t that just show what an erudite, eclectic, flexible chap he is! Thornbury has written books on how to teach the present perfect and other books on why teachers shouldn’t do it; he’s claimed that learners benefit from doing written grammar exercises, and that there’s really no need for them; he’s defended the raft of leading teacher trainers who downplay the relevance of academic research, while at the same time giving post-graduate courses on SLA at a radical New York university, where he encourages teachers to critically appraise the work of academics, many of whom he’s on first-name terms with. 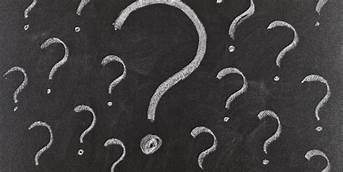 Not surprisingly, perhaps, looking at Thornbury’s published work doesn’t provide clear answers to the 5 questions that I’ve invited teacher trainers to consider. And since he’s already indicated that he sees no point in taking part in my enquiry, I’ll give my own critique of his work, hoping that he might still make some comments. In Part 1, I’ll look at Thornbury’s views of language learning. you have to prove that aspects of syntax couldn’t have been acquired from input… otherwise it’s an ’empirically-empty’ assertion. Surely the onus of proof is on the nativists … to show that the stimulus is impoverished? Again we have the “proof” thing. Thornbury seems unaware that scientific theories are never proved; rather, for as long as they survive tests from empirical studies they remain tentative explanations of the phenomena involved. “Chomsky’s theory of UG has a long and thorough history of empirical research”. What!!? Where? When? Who? When I mentioned some of the well-known grammaticality judgement studies, Thornbury seemed to think these didn’t count. All of which suggests that Thornbury doesn’t have a good grasp of the theory which he so unconditionally dismisses. The child’s brain is mightily disposed to mine the input. A little stimulus goes a long way, especially when the child is so feverishly in need of both communicating and becoming socialized. General learning processes explain the rest. If we generalize the findings beyond the single word level to constructions and then generalize from constructions to grammar, then hey presto, the grammar emerges on the back of the frequent constructions. emergence is also the key to successful syllabus design. This is his argument. Emergence is everywhere in nature, where a system is said to have emergent properties when it displays complexity at a global level that is not specified at a local level. There are millions of such systems; the capacity of an ant colony to react in unison to a threat is an example. Because there is no “central executive” determining the emergent organisation of the system, the patterns and regularities which result have been characterised as “order for free”. Language exhibits emergent properties, and there are 2 basic processes by which language “grows and organises itself”. The first is our capacity to detect and remember frequently-occurring sequences in the sensory data we are exposed to. In language terms, these sequences typically take the form of chunks (AKA formulaic expressions or lexical phrases). The second is our capacity to unpack the regularities within these chunks, and to use these patterns as templates for the later development of a more systematic grammar. It is, says Thornbury, as if the chunks – memorised initially as unanalysed wholes – slowly release their internal structure like slow-release pain-killers release aspirin. Language emerges as “grammar for free”. These 2 processes explain emergence in learning. Thornbury calls on Hoey’s (2005) account of how particular words and chunks re-occur in the same patterns. These can be seen in collocations, such as good morning; good clean fun; on a good day …; fixed phrases, such as one good turn deserves another, the good, the bad and the ugly; and colligations, as in it’s no good + -ing. Hoey argues that, through repeated use and association, words are ‘primed’ to occur in predictable combinations and contexts. The accumulation of lexical priming creates semantic associations and colligations which, says Hoey, nest and combine and give rise to an incomplete, inconsistent and leaky, but nevertheless workable, grammatical system. Precisely how all this happens, Hoey doesn’t say and Thornbury doesn’t ask – it just happens. Thornbury starts with Stuart Kauffman’s familiar claim that the phenomenon whereby certain natural systems display complexity at a global level that is not specified at a local level is evidence of emergence and “order for free”. This highly-controversial view is then used in an attempt to add credibility to the suggestion that lexical chunks provide “grammar for free”. 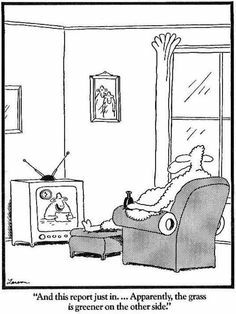 Thornbury tells us that many formulaic chunks yield little or no generalisable grammar, which must surely impede their wonderous ability to slowly release their internal structure like slow-release pain-killers release aspirin. Or does their magic extend to releasing qualities which they don’t possess? Thornbury’s inadequate and mangled account of emergentism claims that lexical phrases explain English grammar, how children learn English and why adults have difficulties learning English as a foreign language. His unqualified assertion that language learning can be explained as the detection and memorisation of frequently-occurring sequences in the sensory data we are exposed to is probably wrong and, in any case, certainly not the whole story. At the very least, Thornbury should give a more measured description and discussion of emergentist views of language learning and acknowledge that it faces severe challenges as a theory. We may note that various scholars have been working on emergentist / connectionist / associative learning views, and developing usage-based theories of SLA views for over 30 years now. The first thing we have to do is to leave behind the rantings of Larsen-Freeman that Thornbury finds so persuasive, and then go on to distinguish, as Gregg (2003) does, between, on the one hand, the work of Nick Ellis, MacWhinney, and Tomasello, for example, who claim that the complexity of language emerges from relatively simple developmental processes being exposed to a massive and complex environment, and, on the other hand, the work of William O’Grady and his associates, who argue that certain types of innate concepts are required. “So the lines are drawn: On the one hand, we have .. nativist theories which posit a rich, innate representational system specific to the language faculty, and non-associative mechanisms, as well as associative ones, for bringing that system to bear on input to create an L2 grammar. On the other hand, we have the emergentist position, which denies both the innateness of linguistic representations (Chomsky modularity) and the domain-specificity of language learning mechanisms (Fodor-modularity) (Gregg, 2003: 46). is little more than rather desperate hand-waving. How can general conceptual representations acting on stimuli from the environment explain the representational system of language that children demonstrate? How come children know which form-function pairings are possible in human-language grammars and which are not, regardless of exposure? How can emergentists deal with cases of instantaneous learning, or knowledge that comes about in the absence of exposure – including knowledge of what is not possible? In a comment much earlier this year, Thornbury gives an impressive list of books that he’s read on emergentism, which at least suggests that he’s got a much better grasp of the issues involved in SLA than this post on his views of language learning implies. I’ve read most of Thornbury’s work, and I haven’t found a single article or chapter in a book, or conference presentation where his views are more carefully and coherently explained. I sincerely hope that he’ll take the trouble to either point us to something he’s already published, or fill the gap. In Part 2, I’ll look at Thornbury’s views of language teaching. Ellis, N. C. (2006) Language acquisition and rational contingency learning. Applied Linguistics, 27 (1), 1-24. Gregg, K.R. (2003) The state of emergentism in second language acquisition. Second Language Research, 19, 95. “Strikingly, most expositions of the poverty of the stimulus argument in the literature do not take the trouble to establish the truth of the premises: it is simply assumed. In a well-known critique of the POS argument, Pullum and Scholz (2002) analyze four linguistic phenomena (plurals inside compounds, anaphoric one, auxiliary sequences, auxiliary placement in Y/N questions) which are most often used to exemplify it, and show that the argument does not hold up: in all four cases, either the generalization that linguists assumed children acquired is incorrect or the relevant data is present in the input, or both. With respect to the auxiliary placement rule, for example, Pullum and Scholz (2002) estimate that by age 3, most children will have heard between 7500 and 22000 utterances that falsify the structure independent rule”. If the stimulus is not impoverished, the need to hypothesize an innate grammar is somewhat undermined, to say the least. And the feverish way that ‘innatists’ cling to the UG starts to sound a little bit like creationism, or paleo-diets, or neurolinguistic programming, and other daft kinds of magical thinking. To support this assertion he cites Dabrowska (2015) whose argument against the POS rests on the well-known Pullum and Scholz (2002) article. This is cherry-picking at it’s very worst – Scott hasn’t bothered to give a fair review of Dabrowska (2015) who hasn’t bothered to give a fair review of Pullum and Scholz (2002). Dabrowska is far less strident that Scott, and IMO would be unlikely to support his gleeful rejection of POS. Just one quote “The crucial question is whether the relevant knowledge or abilities are language-specific or whether they can be attributed to more general cognitive processes—and this is far from clear.” Note: “far from clear”, not “conclusively settled” as Scott claims. •	Thomas (2002) points out that Crain’s (1991) central point is not addressed in Pullum and Scholz’s paper. 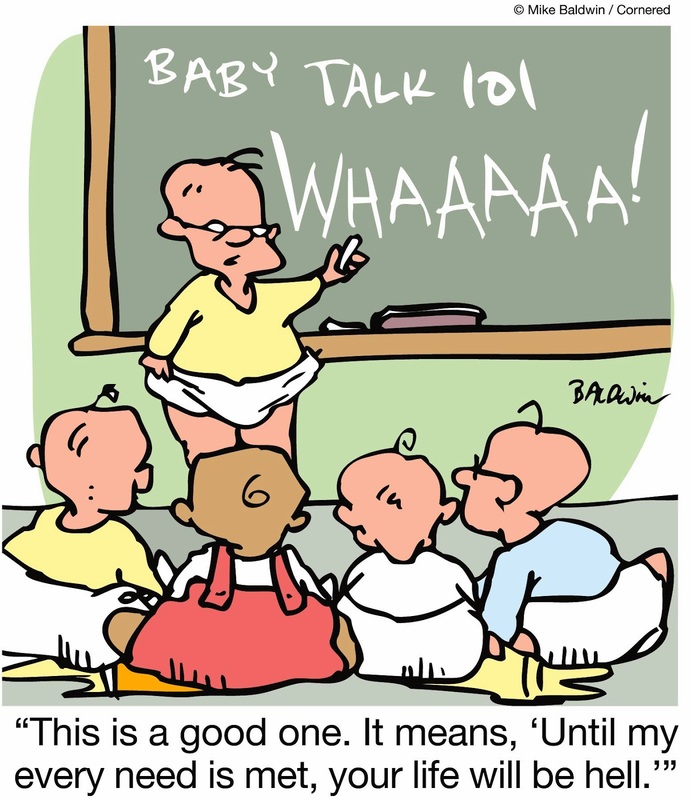 Crain (1991) shows that infants are sensitive to ungrammaticality despite the lack of negative evidence in the input. 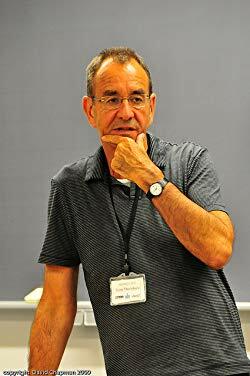 •	Lasnik and Uriagereka (2002) point out that the findings of Freidin (1991), who investigated English children’s acquisition of auxiliary fronting with special emphasis on to what extent such knowledge follows from the input the child is exposed to, are ignored in Pullum and Scholz. Lasnik and Uriagereka treat those findings as an instantiation of an extreme form of the POS argument, which means that children reach the right conclusion despite positive evidence being insufficient. •	Crain and Petroski (2002) note that Pullum and Scholz fail to consider the data that nativists’ claims rest on and that the patterns of unique child constructions that appear in the acquisition data are left unaccounted for. Crucially, these patterns might contravene the adult particular languages being acquired, but they never violate the principles of Universal Grammar. •	Legate and Yang (2002) note that Pullum and Scholz only consider a very small subset of principles and ignore most part of the corpus where these data have been taken from. They also show that Pullum and Scholz do not establish the sufficiency of the disconfirming data they claim to have found in the input. In their review, the former analyse indirect ways to test for data sufficiency which consist in comparing two phenomena that are acquired around the same age and finding out if they require the same amount of linguistic experience. The conclusion is that the principle of structure-dependence is innate, i.e. not learned on the basis of data, but part of some previous linguistic knowledge. •	Fodor and Crowther’s (2002) point out that Pullman and Scholz exclude negative evidence from their discussion. Both the insufficiency of positive evidence and the lack of negative evidence lead to underdetermination, which is something that has to be overcome by innate principles. Concerning the lacunae of data children are exposed to, Fodor and Crowther (2002: 109) note that, contrary to what Pullum and Scholz assume, adults use a distinctive style to speak to children which involves phonological clarity and shortness of sentences. Under this view, then, certain structures that are frequent in adult speech might be rare when children are addressed. Scott’s talk of the language body, slow-release grammar, babies desperate to socialise, etc., etc., are less than serious attempts to contribute to an important and interesting debate. His breezy dismissal of Chomsky and his attempts to promote emergentism by leaning on the totally unreliable work of Larsen-Freeman are, IMO, regrettable. Serious work is currently underway which not just explores weaknesses in Chomsky’s theory, but also attempts to develop an alternative theory of language learning*. Scott has yet to make any serious contribution to this work. 2.	the NS-NNS distinction is not absolutely central to it. 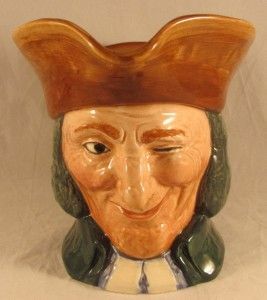 As to the second matter, pace Thornbury, Chomsky’s theory of L1 acquisition does not presuppose that the LAD, “like milk teeth, can only be available for a very limited period”, and furthermore, any such putative restriction has absolutely nothing to do with his main concern – the description of UG. Thornbury’ suggestion that the research on sensitive periods in SLA is the work of nativists bent on proving that the less than native-like proficiency levels attained by late-starters is a result of their being deprived access to the LAD is nonsense. 1. There is no such thing as UG. 2. UG exists, but second language learners only have indirect access to it via the L1. 3. UG exists, but L2 learners only have partial access to it. 4. Second language learners have full access to UG. Hypothesis 1 Those who deny the existence of UG see no need to postulate a LAD, and no need to look for linguistic universals either. Thornbury is in this camp. Hypothesis 2 The best-known hypothesis regarding the second position is Bley-Vroman’s Fundamental Difference Hypothesis (Bley-Vroman, 1989a, 1989b). Brey-Vronan argues that a language faculty (UG) essential for the development of L1 exists, but that UG is not directly at work in SLA. 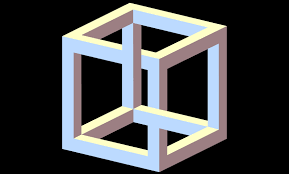 According to Bley-Vroman, adult second language learners do not have direct access to UG; what they know of universals is constructed through their L1, and they then have to use general problem-solving abilities, such as those that operate in non-modular learning tasks: hypothesis testing, inductive and deductive reasoning, analogy, etc. The Bley-Vroman approach provides an explanation for the “poverty of the stimulus” problem of SLA – the complex L2 knowledge or interlanguage grammar which second language learners develop is (partly) a result of UG’s influence on L1. Hypothesis 3 The partial access view claims that L2 learners have access to principles but not to the full range of parameters. Schacter (1988) and Clahsen (1987, 1988) have argued this case. It differs from the “indirect access” position in that it predicts that no evidence of “wild grammars” will be found, and that L2 learners will not reset the values of parameters of the L2 when these differ from the L1 settings. Hypothesis 4 The full access hypothesis claims that UG is an important causal factor in SLA, although not, of course, the only one. Those adopting the full access view (e.g., Flynn, 1987) claim more than that the L1 UG affects the second language learning process. They claim that principles not applicable to the second language learner’s L1, but needed for the L2, will constrain the L2 learner’s interlanguage. The work of the SLA scholars mentioned above indicates the diversity of their views regarding the importance of Chomsky’s work, but we may note that none of them gives any credence to the “milk teeth” view proffered by Thornbury. When it comes to the issue of the so-called “critical period” in SLA, Long concludes that there are maturational constraints on 1) phonology, 2) lexis and collocation, and 3) morphology and syntax, in that order. “Research findings suggest closure of sensitive periods for the acquisition of native-like phonology as early as age 4-6 for most people, of the lexicon, somewhere between 6 and 10, and of morphology and syntax by the mid-teens” (Long, 2015, p.39). Whether or not they’re helped by any special genetic endowment, most children successfully learn their L1 from birth to age 6 incidentally and implicitly, without attention or awareness, suggesting that humans are biologically disposed to learning languages efficiently early in life. After age 16, let’s say, learning a second language is more difficult; most people don’t reach an advanced level of proficiency, and very few cases have been found of across-the-board native-like attainment by a late starter. As Long (2015) points out, if there were no maturational constraints, then you’d expect to find very large numbers of adult learners who achieve native-like ability and pass all the tests to which researchers subject them; but you don’t actually find any such thing. Thornbury misrepresents me, misrepresents Chomsky’s theory, misunderstands work on sensitive periods in SLA, and even misrepresents the views of emergentists. Taking the view that “general learning capacities” explain language acquisition doesn’t imply, as he claims, that there’s no difference between native and non-native speakers (there manifestly is a difference) or that there are no such thing as sensitive periods in SLA. •	A body of research over 50 years confirms the view that nativelike ultimate attainment of a second language is rarely attained by adult learners. The research doesn’t rely on a commitment to “the Chomskyan project”. •	There is wide acceptance among SLA scholars that there are maturational constraints on SLA. Again, this doesn’t stem from a commitment to “the Chomskyan project”.